Big misunderstanding. Pizza is not a herritage of this region. I beelieve that logo of Dziedzictwo Kulinarne is a big misunderstanding. Pizza is not a traditional dish for western Pomerania. You will learn nothing about culture of people that used to live here. I would rather preffer to get real regional food. 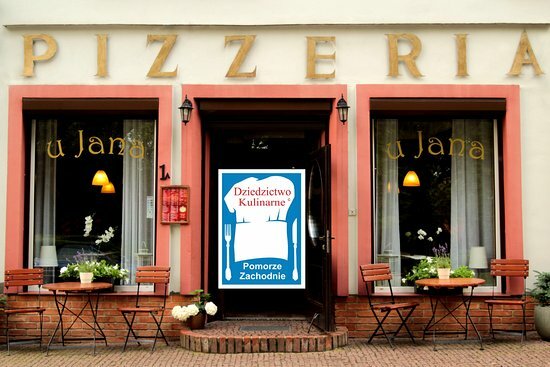 If you learn a bit of history of our pizza and pizzeria, you will find that there is no mistake, and our pizza Stargardzka is unicke in Poland and around the world. For more info please visit our website or our funpage on FB. Pizza that does not taste much, it's like trying to make pizza but not succeeding. The presentation is better but the pizza is dry and breaks into pieces. Unfortunately, no picture of the pizza when it was disappointing. It neither cozy or romantic restaurant. Very new view on pizza. Unique. This place is a part of history of the city. I remember many years ago we were going there with whole family and this place didn't change, still same great taste of homemade pizza. Lovely venue in Stargard. Oldest pizzeria in town with it's special receipe pizza! Thank you for your nice commet. It will be great pleasure for us to host you again in our pizzeria. 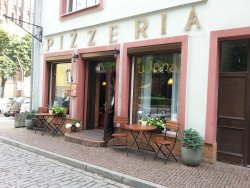 Get quick answers from Pizzeria u Jana staff and past visitors.